What do “Saturday Night Live,” “Roseanne,” “Grey’s Anatomy” and “The Walking Dead” have in common? How much love they get on Twitter. 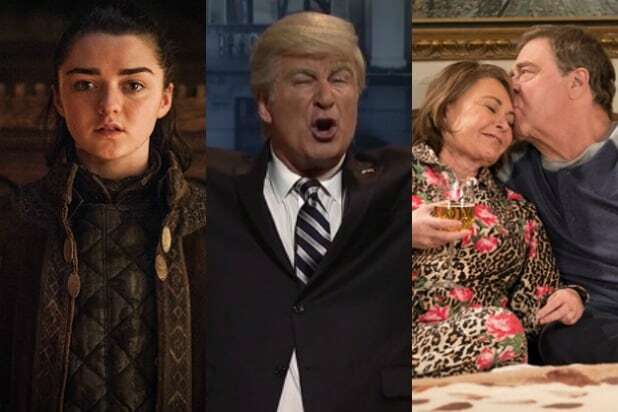 The social media platform shared its year-in-review data with TheWrap Wednesday, revealing which TV shows were the most tweeted about in 2018. Topping the list was the NBC sketch series, followed by the now-canceled Roseanne Barr-led comedy (which ABC quickly replaced with the Barr-less spinoff, “The Conners”) in second place, with Ellen Pompeo’s TGIT staple coming in third, and the AMC drama coming in fourth. “SNL” jumped to 2018’s first place slot from No. 5 on the 2017 chart. Last year’s list was ruled by “Game of Thrones,” but without airing any new episodes in 2018, the HBO series fell to No. 9 on the Top 10 this time. In the streaming-series-only race, Netflix’s “13 Reasons Why” was head of the class, followed by the streamer’s “Stranger Things” and “Black Mirror.” The latter two didn’t launch any new episodes this year either. See below for 2018’s full data, and under those numbers are 2017’s stats for your comparing/contrasting pleasure. Also Read: Was 'Black Mirror' Season 5 Release Date Leaked in Deleted Netflix Tweet?